Always Vigilant Investigative Services is owned and operated by Francisco J. Armas. Francisco is a combat veteran, having served in the U.S. Marine Corps from 2001 to 2005. Francisco served as a Mortar Section Leader leading Marines through combat operations during Operation Iraqi Freedom II. He was honorably discharged as a Sergeant. Francisco has also served as a Federal Police Officer since 2009, he has served as a Field Training Officer, Terrorism Liaison Officer, Rescue Task Force Instructor, and Harbor Patrol Officer. As a Police Officer, Francisco has responded to various types of calls for service in which he has completed numerous preliminary criminal investigations, conducted numerous interviews on the field, and gathered information to complete investigative reports. Francisco is also a Licensed Private Investigator and Qualified Manager. Prior to establishing Always Vigilant Investigative Services, Francisco worked as an Investigative Assistant and Interpreter performing various types of investigations to include criminal defense, civil, infidelity, animal abuse, child abuse cases, locating people and assets, and accident investigations. Francisco performs fact-finding interviews and collects statements from witnesses, victims, suspects, and other parties involved. He uses various investigative techniques and databases to collect information, evidence, to locate witnesses, victims, suspects, and other parties involved. He analyzes and verifies the information and evidence to establish accuracy and authenticity. He also travels to various locations while conducting covert surveillance of suspects and subjects using various types of surveillance equipment. Francisco is proficient in Spanish. Often times, interviews are conducted in Spanish and translated into English. 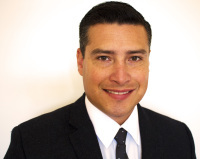 Francisco obtained his Masters in Business Administration (MBA) degree in 2017 and his Bachelor's Degree in Criminal Justice Administration with an emphasis in Management in 2013; both from the University of Phoenix. While earning his Masters in Business Administration Degree, Francisco was honored by being accepted to the Delta Mu Delta honors society for his academic achievements.